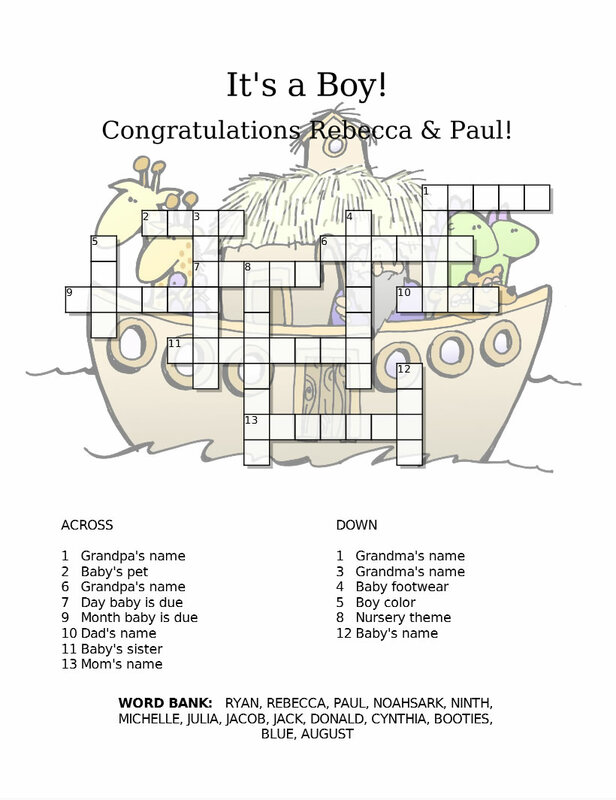 Puzzles about the bride to be and her new baby are a fun ice breaker as people arrive to the shower. They get guests talking to each other as they work to solve the puzzle. They also make a fun game (see how many you get right in a certain amount of time) or even a unique favor. Make yours now.